Mr. Harbeck asked us to make a post with questions off of a sheet we did in class. We had to do five questions, three from part A and any two from part B. 1.Table Salt is a chemical compound of sodium and chlorine. recommended daily intake is about 1700 mg. If Canadians consume 182% of this amount on average, how much sodium is one person eating daily? One Canadian consumes 3094 mg. of sodium daily. For this post, I chose to answer 5 questions from the paper that Mr.Harbeck gave to us during math class. Here are the five questions that I chose to answer. (d) 68 3/4% of 730? 6. Table salt is a chemical compound of sodium and chlorine. Recommended daily intake is about 1 700mg. If Canadians consume 182% of this amount on average, how much sodium is one person eating daily? 8. The Nile River is about 209% the length of the Yukon River. If the Yukon River is 3 168 km. How long is the Nile River(to the nearest km)? show your work. The Nile River is 6 621.12 km long. Hello everyone! Mr. H assigned us all a post answering a few percent questions, and here is mine. Feel free to leave a comment! The first question asks what is 245% of $356.80. 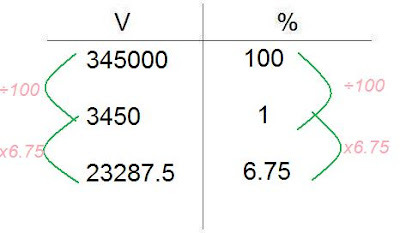 To solve this particular question the easiest way to do so is to use a ratio chart, as shown in the image above. 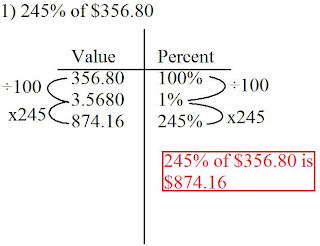 As mentioned previously, the question asks what is 245% of $356.80, meaning $356.80 is the whole, or 100%. That is the first thing you put is what 100% is, or the whole. 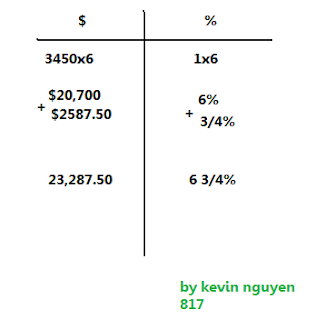 Our goal is to find what 245% of $356.80 is, so the easiest way to attack this kind of question is to find what 1% is. So how do we get from 100% to 1%? We divide by 100! Remember, whatever we do to one side we must to do the other (of the ratio chart). 100% divided by 100 is 1, and 356.80 divided by 100 is 3.5680. 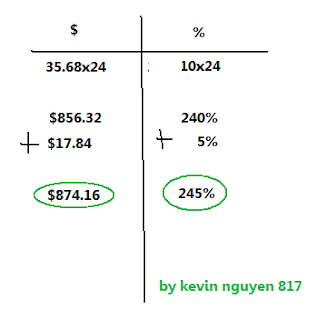 Now that we know what 1% of $356.80 is we can easily find out what 245% is quickly, simply by multiplying 1 by 245. Quite obviously, 1 multiplied by 245 is 245, and 3.5680 multiplied by 245 is 874.16. Our answer is $874.16. The question asks what 68 3/4 of 730 is. We're using a ratio chart to solve this question. We begin with what 100% is, and divide that by 100 on both sides to find what 1% is, which in this case, is 7.3. 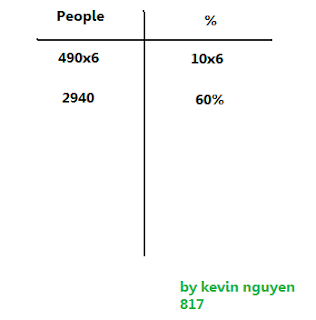 From there we multiply 1 by 68.75 because that is the percent of we are looking for. Our answer is 501.875. 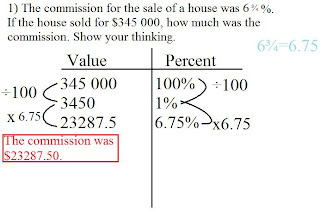 The question asks what 360% of 129.95. We begin our ratio charts with what 100% is, which would be 129.95. 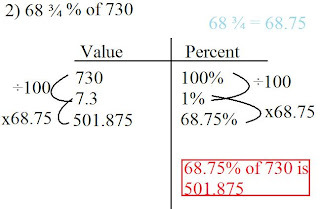 To easily find what 360% is since we know what 100% is, we divide 100% by 1, (which finds us 1%) and multiply by 360, which would obviously give us 360%. Since we divided and multiplied said numbers on the Percents side, we must do so on the Value's side. 129.95 divided by 100 is 1.2995, and 1.2995 multiplied by 360 is 467.82. Our answer is $467.82. The question asks for the commission of a house if the house is sold for $345 000. To do that we find what 6.75% of 345 000 is. We begin our ratio chart with what 100% is, which in this case is $345 000. 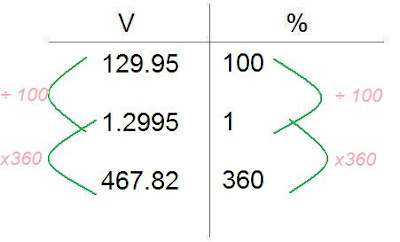 We divide 100% on both sides by 100 to find 1 percent, which is 3450, and multiply that by 6.75, which is 23287.5%. Our answer is $23287.50. We do this because commission is what the salesmen gets off of what he/she sells. He/She gets a certain percentage (in this case 6.75) of the sales price (in this case $345 000) so that's why we solved for 6.75% of 345 000. 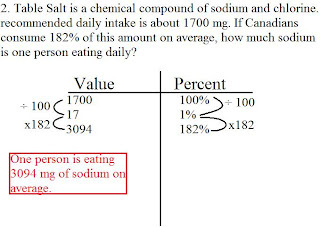 The question asks how much sodium is one person eating daily if people are eating 182% of 1700 mg of it. 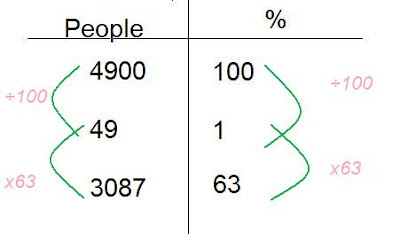 As always be begin by writing out what 100% is, which would be in this case 1700. 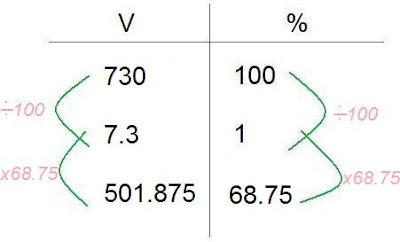 We divide that by 100 on both sides to find 1%, which would be 17. Then we multiply that by 182 on each side to solve for our answer. Our answer is 3094 mg. We do this because 1700 mg is what is recommended about, and what people are usually taking in is 182% of this. Our goal was to find 182% of that because that's what people were taking in. The easiest way to solve this question is to use a ratio table. The question is what is 245% of $365.80? $365.80 is the whole or 100% and 245% what you are trying to find in the whole. Here is a picture of what it looks like to solve it with a ratio table. 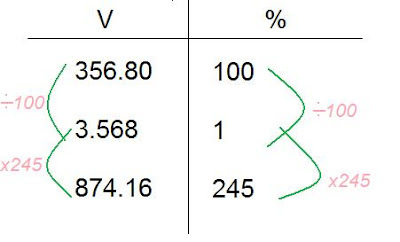 For this question you could also use the ratio table. I'm going to use a ratio table to solve this question. Miguel bought a car for $4700. He made a down payment of 191/2%. How much was the down payment? I think the easiest way to solve this question is to use a ratio table to help you solve it. For this question you have to find 19 1/2% of $4700. 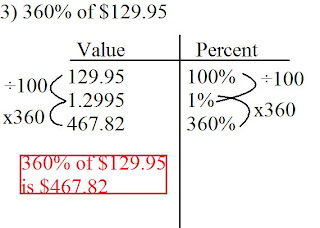 To find that, the easiest is to find the value of 1%. To do that you have to divide it by 100; the answer would be 47. 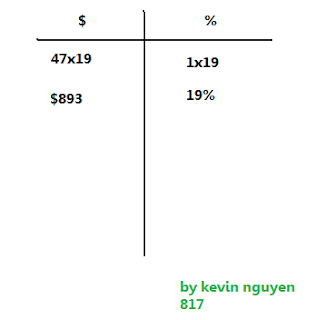 The next thing you do is multiply 19.50(same as 19 1/2) by 47. The answer you get is 916.50. About 5.6% of Canadians have Type 2 Diabetes. If Canada's population is 32 million, about how many Canadians have this condition. For this question you have to find out the amount of Canadians have Type 2 Diabetes. To do that you have to find 5.6% of 32 million. First you have to divide 100 by 100 which gives you 1 and then multiply 1 with 5.6. You also do that to 32 million, you divide it with 100. It gives you 32000 and then you multiply it with 5.6. The result is 179 000 and that is the answer. 5) The 4900 seat hockey arenas was 63% full. How many people were at the game? 3087 people were at the hockey game. 3) Miguel bought a car for $4700. He made a down payment of 19 1/2%. How much was the down payment? 1) The commission for the sale of a house was 6 3/4%. If the house sold for $345 000, how much was the commission. Show your thinking. The commission was $23 287.50. There were 3087 people at the game. My name is Janelle, and I am also an Education student from the University of Regina. I am going into my third year in the Education program, and I am specializing in Pre-K to Grade Three right now. However, I'm not absolutely sure what grades I want to teach and I haven't had much to do with older grades, so I am very excited to check out what you guys are doing! I am Tiffany, a fourth year university student at the University of Regina. I am studying to be a Math and Science teacher, so when I finish up at university in two years I will be looking for my own classroom to teach Math in. I am excited to check out your blogs and read about what you are learning and also to see how math makes it onto the internet with your help. To be honest, I have never heard of a math blog before, because when I was in Grade 8 there wasn't such a thing. But I think it is a great idea! Well, I think this tells a little bit about me and where I am at in my education. Looking forward to seeing your work! Cheers. Our video presentation on Winnipeg Poverty. By : Richard Maquimot, Leomar Serapio,Robert Cruz, Francis Aguila. Please make a difference by donating. Hope you enjoy. The rainforests are disappearing. the rainy paradise were they have stood for thousands of years is steadily being chopped down, with the ground being raised to provide a living for men with no other choice. The governments who do it trapped in a downwards spiral of destruction. This is a video that I made with Mark's help. 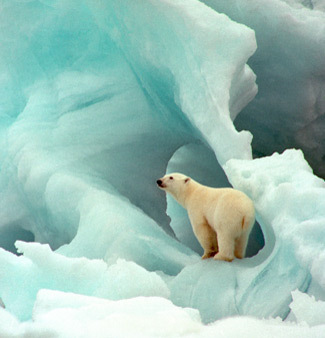 This video is about global warming and how it is affecting the earth, and the animals that are still around today. It also includes how it affects us here in Winnipeg. Enjoy! "Be Ok" by Ingrid Michealson-I got this song off Lime Wire. In our video, we show how be obese can have its downfalls. We show how you can prevent obesity and live a healthy, strong, and happy life. We also show which ways of preventing obesity is good and bad. And finally we explain how you can help people or help yourself win the battle over obesity. Our video is about saving energy and what wasting energy does to our planet. Linda, Nikki, Camille and I's video is set as a court show that suddenly gets interrupted by a news cast. 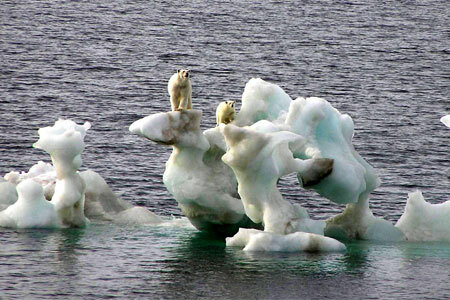 In this video it will show you what global warming is, and what damages it is doing to the earth. You will learn about what can cause it and what effects it has. Enjoy! we're wearing. And we will also be talking about some people are able to smuggle them into different country's just to sell them. 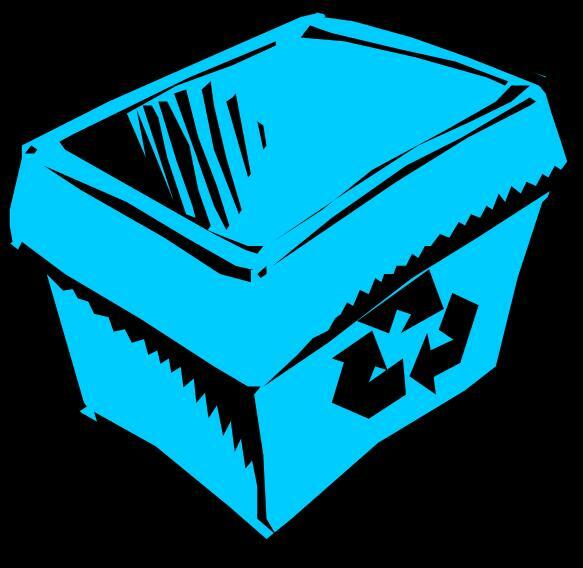 This video explains the effects and the solutions to the problems we face from wasting energy! We explain that even through people might not see how it effects the earth that they NEED to realize it is harming, not only the earth, but us humans on the earth, and also poor innocent animals. And at the end of all of this we really wanted to have a question that would leave the audience thinking! So have you thought about the question? Maybe you forgot it? well here it is one more time: One person can make a difference... the question is......... WILL YOU? Our video explained how obesity is problem in our world, and we try to convince the viewers to give support for these people in either big or small ways. We've also explain the good and bad ways to eating healthy. We have also explained what can happen if the obese are unable to help themselves, and what can happen if there is nobody to help. In our video we decided to create a court/news cast theme. The video begins off in a court show with Human Race and Mother Nature, arguing over what the Human Race has done to Mother Nature's planet then the show is interrupted by breaking news about saving energy. Below is The Ninja's 2 Minute To Make A Difference video. This is our video about poverty, what it is, how it affects people and how to stop it and making a difference in the world. Our video gives information about poverty and a little bit more about making a difference in the world as an individual or as a group. I hope you enjoy it! This is a 2 minutes to make a difference and it took a long time to make it. Also we just started the video about a week before the deadline. The video is about Childhood-Obesity. It explains how you can stop it and how much of the population in our world is obese. Also it tells you whats the cause of being obese. When you add fractions you need to find the lowest common denominator. The easiest way to do that is to multiply the two denominators. You add the 2 whole numbers first. After you add the two fractions you get the answer. When you subtract fractions you need to find the lowest common denominator. The easiest way to do that is to multiply the two denominators. You subtract the 2 whole numbers first. After you subtract the two fractions you get the answer. When you multiply fractions, you multiply both the denominators and numerators. If theres a mixed fraction, you turn it into a improper fraction and work from there. As you can see I have simplified the answer to the lowest terms possible. When you divide fractions you use a recipical. To add fractions, you have to find the common the denominator. After finding out the common denominator, you have to figure out the numerator; you either cross multiply (the easiest way) or, find out how many times the first denominator goes into the common denominator, then multiply that number by the first fraction. My next example is 5/9 + 1/3. Now I'm going to give an example of subtracting fractions. This question contains mixed numbers. All you have to do is change that mixed number into an improper fraction. To change it into improper, multiply the whole number by the denominator and add the numerator. To multiply fractions, you simply have to multiply the numerators together and the denominators together. My second example for multiplying is 4 2/5 x 1/2. This question also contains a mixed number. Just like the subtracting question, you have to convert it into a improper fraction. Then, to get the answer you have to see how many times does 10 goes into 22. To divide fractions, you have to see how many times groups of that number goes into the other number (How many groups of __ goes into __?) An example is 3/4 / 1/3. For this question, I decided to use a ratio table along with the fraction's reciprocal. The reciprocal is when you switch the fraction around and get a product of 1. To get the answer, divide how many scoops of flour we have by how many scoops it takes to make one cake (use the improper fraction). 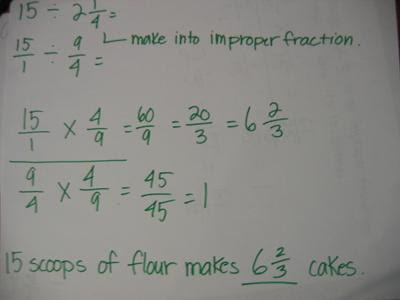 Then multiply both fraction by how many scoop it takes to make one cake's reciprocal. It was sunny in Winnipeg for 3 hours and 30 minutes. To get the answer, multiply how many hours of daylight by the fraction of how long it was sunny. It was sunny for 3 hours and 30 minutes of the day. We Learned 4 diffferent ways to nathematical use fractions, adding ,subtracting, multiplying, and dividing. Adding fractions is really simple. First you have to find the lowest common denominator (the lowest number that both denominators go into), then add both numerators using the lowest common denominator. If it is a mixed fraction, you convert it to a improper fraction. To convert it, you multiply the denominator with the whole number, then add the numerator. You then place that number over the numerator; the improper fraction should have a numerator that is larger than the denominator, hence the name improper fraction. Alternatively, you can add the whole numbers, and simply add the fractions, then you put both of them together. This way is recommended when adding, it is a lot simpler. Subtracting fractions is almost just as simple. Instead of adding, you subtract. You find the lowest common denominator and subtract the numerators, and often, you simplify at the end. If it is a mixed fraction, subtract the whole numbers, and fractions, if possible. If it isn't possible to subtract the fractions, subtract one, from the first mixed number, then add the numerator and denominator, and use the sum of that to replace the first numerator in the fraction; now it is a improper fraction. Finally, subtract normally. Probably the most confusing of all, is division. 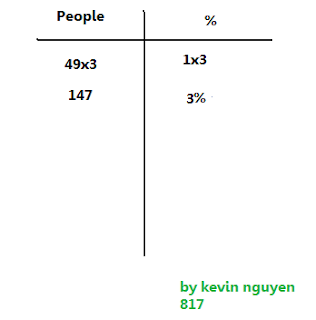 There are two ways to divide, using a ratio table, or using the reciprocal, the ratio table is easier in my opinion. To use the ratio table, we place the fraction that is being divided on the left side of the table, and the divisor fraction on the right side of the table. Here, we focus mostly on the divisor fraction. Using division and multiplication, make that divisor fraction into a whole. What you do to the divisor fraction, you must do to the fraction that is being divided. Your answer will be the results of the fraction being divided. To use the reciprocal, all you do is turn the second fraction upside down, and multiply. Multiplying fractions is a bit easier. You simply multiply the numerators and denominators, then simplify. To multiply mixed numbers, convert them to improper fractions, then multiply, then convert them back to mixed numbers.